The Washington Post editorial, “Venezuela doesn’t deserve a seat on the UN Security Council,” combines ad hominem attack with misinformed smears. ThePost’s views appear to have been formed by uncritically accepting all of the propaganda offered up by the right-wing opposition press in Venezuela. It should be beneath the Post to denigrate the recently elected Venezuelan president, Nicolás Maduro, as an “economically illiterate former bus driver.” Despite his lack of training in economics, Maduro is right that Venezuela is facing what amounts to internal economic warfare, with business hoarding, currency fraud, and contraband trading. The economic policies of Maduro, and those of former President Hugo Chávez, have certainly been experimental, even trial and error, but these policies have also reduced poverty by half and expanded access to the social goods long denied to millions of ordinary Venezuelans. These are real gains in terms of human development that are all too easily dismissed by the Post. The Post might have mentioned that some of the “economic pragmatists” it champions are precisely those whose ideologically driven bad advice sent the global economy in its recent free fall. Deregulation of the financial sector was an epical disaster, in the United States, in Latin America, and around the world, yet orthodox economic advisors continue to call for free market solutions to any and all economic problems. This is really bad advice, and people around Latin America realize it: three-quarters of the region is governed by left-wing governments, which appropriately see a larger role for the state in guiding their economic fortunes. The Maduro administration faces serious economic challenges, and it is moving to address them. The present tiered currency exchange system is still conducive to a black market in U.S. dollars and the Venezuelan government is keenly aware that this system is in need of further reform. Venezuelan authorities are presently waging a stepped up battle against the flow of contraband. There also appears to be a consensus, on the left and on the right, that there is a need to diversify the productive base of the country and continue to step up agricultural production. The Post editorial has not taken into account Venezuela’s great debate over the scope and form of such reforms that has been recently taking place within the Bolivarian project; this debate includes the question of whether to introduce a number of market oriented measures, to stay the course towards more social control over the economy, or to implement a combination of these approaches. The Post describes the “exit now” strategy of the ultra-right as having called for “peaceful street demonstrations under the slogan ‘the way out.’” This view is inaccurate. The hard-line right’s strategy has involved repeated violent attacks on state institutions, public transportation, and the symbols of Bolivarian social investment. So while there were peaceful opposition demonstrations, the ultra-right wing elements were not peaceful, not at the barricades they built, not when they shot at police and passersby, and not when they fired home-made mortars and tossed incendiary bombs. These actions are not mentioned by the Posteditorial, perhaps because they do not play into the opposition’s preferred narrative. The Post refers to the 40 persons killed as though they were all victims of government security forces. The best available evidence, however, indicates that as many as five of the deaths were due to the actions of government forces; the Post fails to mention those killed and injured by the extremist elements of the opposition. Meanwhile, Maduro’s government has brought criminal charges against law enforcement officials who have been implicated in homicides. Venezuela, the Post argues, does not deserve a seat at the United Nations Security Council. But, it actually does deserve a seat. 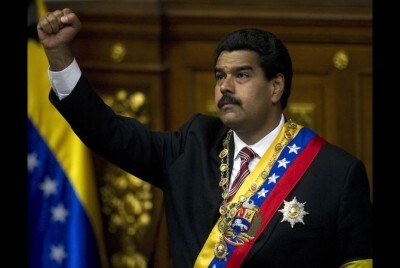 Venezuela is a leader in today’s Latin America. Venezuela has wide backing in the region, due to the generous extension of its subsidized oil export program, benefitting many small, oil importing states in the Caribbean and beyond. Venezuela has been likewise generous in providing aid packages for health and education reforms in fellow Latin American states, including especially Bolivia and Ecuador. Better still, the aid does not come with nettlesome mandates, such as launching a war on coca production, or a forced march implementation of widespread economic deregulation. And this is why all the Latin American nations support putting Venezuela on the Security Council. The opposition of the Post to something that most Latin Americans see as a good idea, says rather too much about the blinkered outlook of the Post. The Post’s remaining readers will once again have to look elsewhere if they want to understand Venezuela and Latin America. We suggest they turn to www.Coha.org. Maximilien Sánchez Arveláiz – Chargé d’affaires at Venezuela’s U.S. Embassy in Washington. Letter published in the Washington Post, 24 September 2014. The Sept. 21 editorial “Persecuted in Venezuela,” opposing Venezuela’s bid for a non­permanent seat on the U.N. Security Council, distorted reality by accusing authorities of persecuting political prisoners and jailing Leopoldo López for his role in instigating “peaceful” protests this year. The protests demanding the extra­constitutional removal of the government led to more than 40 deaths, including individuals killed trying to remove protesters’ barricades. The “irresistible pressure for change” expected by the editorial never came because the majority of Venezuelans resolve political differences through elections and direct democratic participation, not violence. The Post’s scare-mongering around Venezuela’s candidacy harkened to the Cold War mind-set that animated a similar campaign in 2006. Venezuela is not an advocate for other countries at the United Nations: It is a determined advocate for peace, as demonstrated by its commitment to regional stability and strong support for the Colombian peace process. The Post stated that Venezuela may be on the verge of suffering “a catastrophic economic collapse” and supported such a claim by offensively referring to our head of state as an “economically illiterate former bus driver.” Venezuelans are proud to belong to a democracy that allows former blue-collar workers to rise to the top.